Many online casinos award their players with comp. or loyalty points for the real money wagers that they place. However, Fair Go casino online has decided to take it one step further with Double Points. Fair Go casino selects a different game from their portfolio every month and provides players with double the points they usually receive for real money bets. For January 2018, Fair Go online casino has selected Gemtopia as the title to provide AU gamblers with double points. 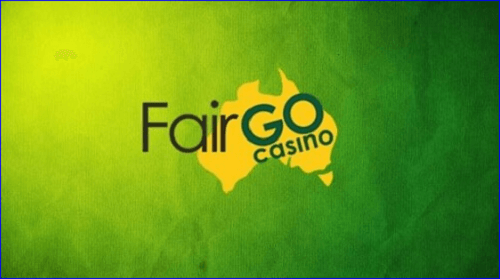 Fair Go casino makes online gambling so much more enticing with the opportunity to gain double their loyalty or comp. points on Gemtopia. Players are awarded two comp. points for every AU$10 bet they make on Gemtopia. Online gamblers are allowed to wager on both their desktop and mobile devices. Every other game wagered on will only gain players one comp. point for January. Once an Australian gambler receives a total of 100 points, they will be able to redeem the points for AU$1 from your casino account. With the double points program, gamblers will be able to retrieve the 100 comp. points much quicker and faster than usual. However, there are two offers which come with the double points game; players can claim a 100% bonus for their deposit and receive 30 spins for free on Gemtopia. This will allow players to keep any amount of money they make while playing Gemtopia. This program led to two lucky gamblers walking away with extra cash at the online casino. Muhammed won a total amount of AU$8,797, while Robert took home a whopping AU$15,030. Gemtopia is a video pokie game which was recently released. However, many Aussie players are familiar with the slot. For those players who are not familiar with the game, it contains colourful gem-stones as symbols which appear on the reels. The game has 15 paylines. Winning combinations on the games are paid both from left to right and right to left. This will result in winning combinations appearing more frequently. There is a diamond as a wild symbol, but only appears on reels 2, 3 and 4. When a wild symbol appears, players will be awarded the payout first; then the other reels spin while the wild reels are held. The scatter symbol will trigger 15 free spins, in which a special bonus diamond will be added to the reels. These award players with more free spins and a bonus payout of up to 1000 times the amount they have wagered.